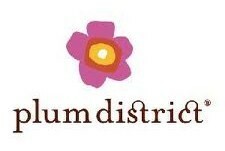 30% off Plum District Code = HOT Deals Starting at $4.50! Plum District has put out another hot promo code, making for some awesome deals! The code is local30 and can only be used on local deals, not national ones. NOTE: You can find online deals in local cities that can be used anywhere...those are included with the code! If you're a new Plum District member, you can click here to get an instant $5 credit added to your account so you can save even more! So, get the $5 code first then come back here to easily find some deals! These are just a very few of the deals you can use the promo code on today! Sign up and get your $5 credit and then take a look at what's available in your city, or browse around the other cities to see the other online deals!